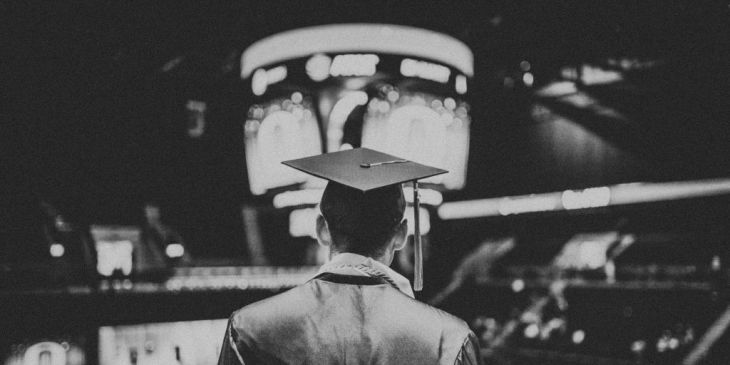 Far too often, athletes limit their focus on the most obvious source of scholarship money: athletic financial aid, which is awarded by colleges itself. While that works out nicely for the strongest athletes in their respective sports, that doesn't necessarily hold true for the very large majority of athletes, who are also competitive enough to compete in collegiate sports. It's a good thing there's a lot more than just athletic scholarship money that can be used to bring down the costs of studying. Collegeraptor's infographic shows that 48% of the total 123 billion USD of scholarships and grants in 2013-14 were awarded by federal/state governments, 13% by organizations, and 39% by universities. U.S. citizens* may submit a Free Application for Federal Student Aid (FAFSA), which can be done here. Awards are granted by the U.S. Department of Education, based on families' financial need. 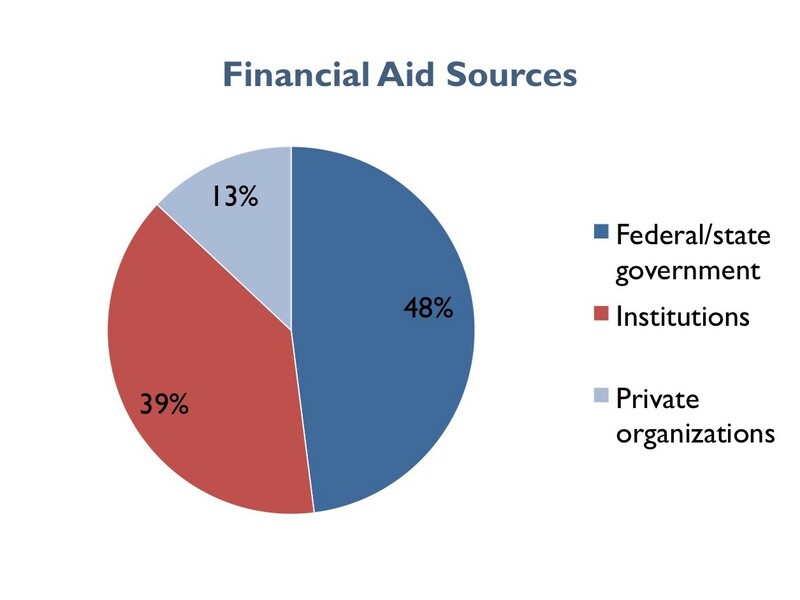 While the total sum of financial aid amounts to more than 150 billion USD, only some portion of that comes in the form of grants (financial aid, which does not need to be repaid). Scholarship money in this category is awarded by non-profit organizations and communities, such as private corporations, religious or cultural organizations. With more than 10% of financial aid coming from this segment, there are plenty of potential opportunities to look into. 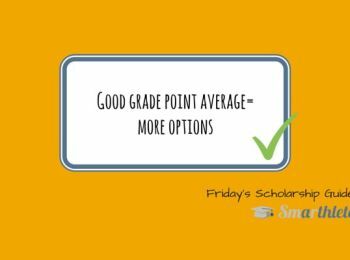 Many schools have set criteria that would need to be fulfilled by applicants in order to qualify for this kind of financial aid. The criteria are usually a mix of GPA, SAT/ACT scores and other academic merits, whereas TOEFL scores might be used for assessing Internationals. 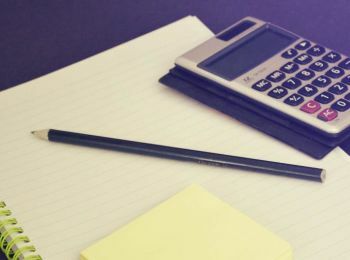 Depending on school, receiving academic financial aid may be more selective or less selective. 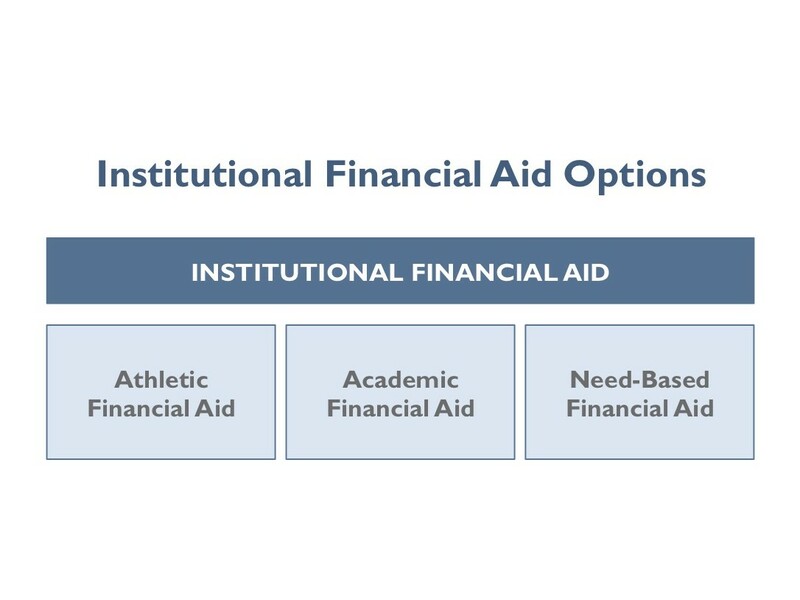 The third option within institutional financial aid is of need-based characteristic and applies similar criteria as the above-described FAFSA. Whereas FAFSA is only available to U.S. citizens*, need-based financial aid by colleges may also be available to international applicants. Once the dialogue between prospects and college coaches proceeds, schools' admissions offices are included in the dialogue and instrumental in determining your families' financial needs. Give us a follow on Facebook or Twitter or sign up for the newsletter on the right side to not miss out on any college sports-related news in the future! 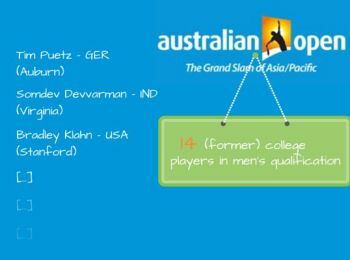 And for the tennis players among you: are you ready to get your search for financial aid from colleges started? Then get yourself in the best position for doing so by signing up with a free recruiting profile here on Smarthlete. Coaches are already waiting to have a look at you! 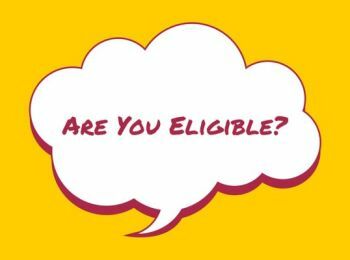 *Non-U.S. citizens may also qualify depending on set criteria. Please refer to the FAFSA website for more information.